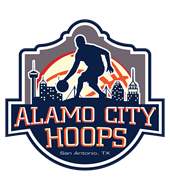 Alamo 17 Elite / 210 Beach Elite & Smithson Valley H.S. 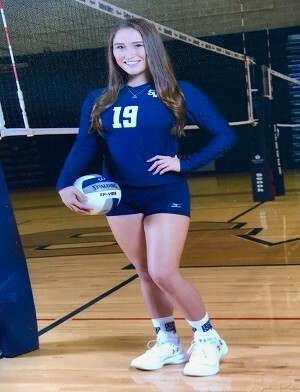 This talented 2018 grad is a varsity setter at Smithson Valley HS, competing in highly regarded District 27-6A play. In her first year of high school competition, Lauren was impressive as the only freshman on her 19W-22L Lady Rangers squad. Playing up for her S.A. Magic 15's National team, she was captain of the 14's team and is still her team's captain. She went up to the 15's for JO's. Also, in Summer 2015, Lauren jumped into the beach volleyball scene in the area with the '210 Beach' club to help stay in shape and continue to develop her game in the short "off season" between club and the HS season ramping back up. She was instrumental in SVHS's 34W-11L record as a sophomore, which is one of the 4 best season's in her head coaches 12 year tenure. In May of 2016, Lauren and her club team earned a spot at the JO's, which took place in June! Lauren was selected to play in the TGCA All-Star Game in the summer of 2017, and was recently awarded "Player of the Week" honors for her standout games against Reagan H.S. & Boerne Champion H.S.! You can read more about her impressive performance HERE. Standing 5'9"-153lbs as a senior, this setter and utility player plays all around and is a very important cog on both her high school & club teams, earning the Hustle Award as the only freshman on varsity 3 years ago. Statistically, versus big school varsity competition as a freshman, Lauren recorded 183 assists, 80 digs, 11 saves, 8 kills, and 15 aces in overall play. As a sophomore, she had the most serving aces on the team, with 27 to her credit. She had a whopping 496 assists, 209 digs and 5 kills as well. As a junior, Lauren was credited with 698 total assists (5.6 per game), 33 service aces (.27 per game) and 289 digs (2.35 per game) en route to her All-District honors and TGCA All-Star Game invite! She is off to an excellent start as a senior this year, and is continuing to excel with her Alamo 17 Elite & 210 Beach club teams. 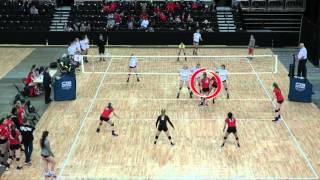 Lauren competes with the Alamo Volleyball Club, and is playing with the Alamo 17 Elite squad. She also plays for the Elite Sand Volleyball group for 210 Beach. Her head coach's name is Jason Kaiser, and he can be reached at (210) 248-8554. Please Note: If you've received an email from us regarding Lauren Kadilis, his or her phone number and email address are provided within that email for your convenience.